Slingshot! 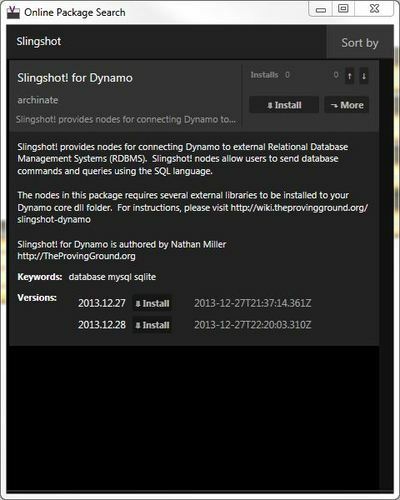 provides nodes for connecting Dynamo to external Relational Database Management Systems (RDBMS). Slingshot! 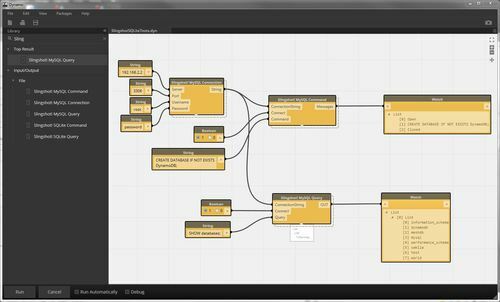 nodes allow users to send database commands and queries using the SQL language.